Would you like to start a business of your own? If you’ve ever wanted to start your own business, or if you’re trying to figure out how to take your business to the next level, I’ve got a special invitation for you. For the first time, I’m going to be teaching a small group exactly how I built CNCCookbook into a very profitable 7-figure business. The techniques I use are things almost anyone can learn and they have been proven in multiple markets. They don’t require a huge budget and can be done in your spare time. I built CNCCookbook as a solopreneur all by myself, without hiring any employees, and with almost no budget. I’ve shown others before how to grow their businesses with great success. Using these techniques, one company grew their revenues from $100K a year to $1M a year in just 6 months–a 10x increase. Now I’m ready to put all of it down in a course. I’ll be sharing things I’ve never written about before that took me years to learn, develop, and perfect. Recently, I asked many of you to participate in a survey and let me know if you’d be interested in a paid course aimed at showing you how to grow your customer base. I know you’re all Product People like me. You’re Engineers, Makers, CNC’ers, and Artists. You love to create things or you wouldn’t be reading CNCCookbook. At the same time, you are not necessarily all over the marketing and sales side. You’d like to be confident that you have a step-by-step plan for growth that’s going to work. I figured there’d be some interest in a course as a result, but I was overwhelmed by all the positive feedback I got from the survey and all the personal follow-up notes you’ve emailed me (yes, I still read every email!). I’ve talked to so many prospective young businesses over the years, and getting enough customers to reach critical mass is a huge struggle for people. So, I decided it was time to show you. My system has created a ton of opportunities for me across no less than 3 companies. Here at CNCCookbook, we get over 4.5 million visitors a year. We’ve got customers from thousands of the world’s largest CNC manufacturers. I’ve made a great living from the business too. 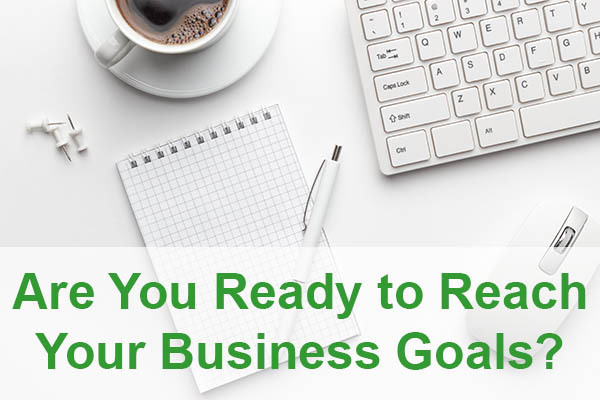 I have always approached this from the standpoint of wanting a system that reliably grows my business year after year, whether times are thick or thin. I have never wanted (well, I wanted, but I didn’t believe in) a get rich quick scheme, and this system is not that. It’s about converting honest work into results. It’s about knowing how to work smarter than most at this task of building a business and a customer base. It’s a about creating a real business, in other words. A real business is one that delivers real value to real people. It’s not just a flash in the pan. CNCCookbook is something I’m proud of and I know you want to be proud of your business too because that’s just how Product People like us are. Product People are also about having a concrete, step-by-step plan for results. You can’t succeed in making any product waving your hands or making exaggerated claims. There’s no substitute for doing real work with a sense of craftsmanship. The only shortcuts come from experience and knowing more than others who lack the experience do about how to solve the problem. There are a lot of growth marketing courses out there, and I didn’t want to add just another one to that lot. Deeply understand how to find your audience and connect with them. How to evaluate your niche, to make sure it’s one that’s ripe for you to succeed with. How to create measurable steady growth in that audience. Exactly which strategies and technologies to use to get started with a solid foundation. How to learn and grow what works for your audience moving forward. If you remember the old joke about how it’s better to teach a man how to fish than give him the fish, you’ll appreciate that this course is a solid combination of both. Getting some fish to start in the form of a concrete step-by-step plan that leads to solid results in a short time is important. Knowing how to fish so you can continue to grow long after that initial foundation is just as important for the long run. Does all that sound like an ambitious goal? I agree, it is, but this is not the first time I have taught these principles or used them. It’s simply the first time I’ll be putting it all down in a concrete course to give you my blueprint. Customer Critical Mass is NOT the only way to build a successful business from the ground up. There are many ways. You can even develop your own system given enough time and experience. But, what’s extremely hard to do is to get there by hiring some marketing firm. The top-notch agencies want big money to even get started. You’re looking at investing $10,000 or more per month. This simply makes no sense for the little guy who is trying to get a business off the ground. I’ve had the luxury of venture capital in multiple companies earlier in my career, and let me tell you even when you have the big bucks to pay them, these firms are often a disappointment. You are too small to matter to them, so you don’t get their A-Team on your account. You could try hiring a scrappy smaller firm for less money, but that’s still going to be very expensive and who knows whether they’re any good or not? They’ve had so few clients you have no way to tell if it was luck or if those great references they’re pushing are all relatives and family friends. The only way to make this thing work out for you is really to figure it out for yourself. You can go the free router like I did, and spend years perfecting your own System. That takes years and most people don’t want to wait that long. Or, you can take a course like this one and get a jump start on it. It’s not a magic bullet, it’s just a practical way to get the learnings someone else has made into your hands so you can start building your business. To succeed with Customer Critical Mass, you need to be serious about your long-term success. It takes time and hard work to get the results. But, it’s entirely doable, and CNCCookbook is a great example of what’s possible. I’ve got lofty goals for this course, and I want it to be completely first class–the best of its kind on the planet. As mentioned, the course is in development. It will be available in the next couple of months, but I am not going to nail down the exact date until I’m much closer. It’s more important to me to ensure the quality of the course than to push it out on some specific date. Because this is the first time I’ve offered this course, and because it will include considerable personal attention from me in helping you directly, I’m going to limit attendance. There’s a leaderboard that you’ll be added to when you sign up for the mailing list. The higher you are on the leaderboard, the earlier you’ll be able to get into the course. As a special bonus, I will choose some of you to work with me to test it for free. Get on the list sooner to hold your place and increase your chances for free participation. There’s another special bonus too. Just for being on the list, you’ll receive a free mini-course Work Smarter and Get Things Done. This course will teach you the techniques you need to amp up your productivity so you can get everything done you need to without quitting your Day Job. It’s an essential power tool for any entrepreneur.